Core training is one of the hottest subjects in the fitness field. Unfortunately, with hundreds of different exercises from which to choose, along with a variety of conflicting information, it remains one of the most misunderstood areas of training, with fitness professionals making far too many mistakes based on confusion, myths, and misconceptions. And if you are making those mistakes, it’s holding you back as a professional, and it’s definitely preventing your clients from getting optimal results. With that in mind, I sought out Core Training Expert Nick Tumminello to clear up the confusion once and for all so that you can be one of the select few fitness professionals who actually employ an approach to core training that is scientifically sound and “real-world” effective. 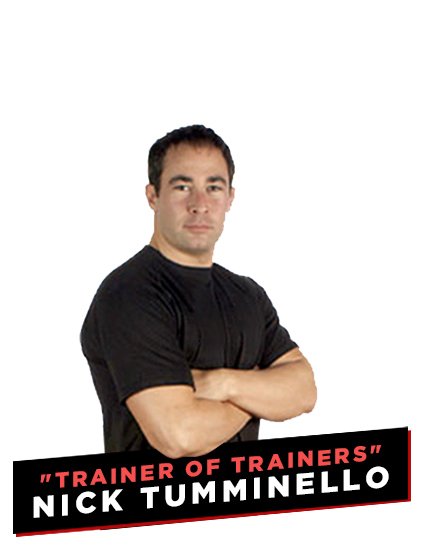 Coach Nick Tumminello has become known as the “Trainer of Trainers” for his innovative, hybrid fitness training concepts and for his ability to provide simple, honest, and immediately applicable solutions to common problems fitness professionals face. He’s an internationally recognized presenter and mentors thousands of trainers through live workshops, mentorship programs, and home-study programs. As a Coach/Trainer, Nick works with a select group of clients from bodybuilders and figure models, to professional fighters and NFL players, to weekend warriors and exercise enthusiasts of all ages. Nick also serves as the conditioning coach for the Ground Control MMA Fight Team and as the Hybrid Fitness training expert for Team Jaco Clothing. You’ve likely seen Nick’s work in Men’s Health, Men’s Fitness, Oxygen, Maximum Fitness, REPS, Muscle Mag, Status, Train Hard-Fight Easy, Fighters Only, and FIGHT! Coach Nick is also a featured contributor to several popular fitness training websites including LiveStrong.com, Bodybuilding.com, WannaBeBig.com, and T-nation.com. In short, when the best coaches and organizations in the fitness industry want proven, research-backed information, Nick is their trusted resource. 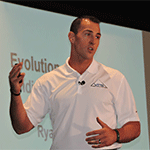 Seeing the need for sound, effective Core Training information that dispelled the myths and provided trainers and coaches with the knowledge and toolbox they needed to deliver outstanding results to their clients, Nick constructed a comprehensive training program addressing core training in greater detail than ever before. The objective was simple: He wanted to really dive in and show the ins and outs of his complete approach to Core Training. All of his advanced methods. No theory. Only science-backed, real-world, proven information. The CORE TRAINING: Fact, Fallacies & Top Techniques Workshop was 3.5 hours completely dedicated to developing true expertise in core training. A practical, scientifically founded and fully comprehensive core-training strategy you can immediately apply in any training setting. The technique and application of the top Core Limited Training (CLT), Compound Core Training (CCT), and Targeted Core Training (TCT) exercises. Why your programs should include all three types of core training methods, and which type of core exercises are the highest priorities to emphasize in all fitness and performance programs. Why the psoas and transverse abdominis (TvA) are the two most misunderstood muscles in the body. The “Inconvenient Truth” about the relationship between core strength and stability to posture and lower back pain. Why the BEST core exercises AREN’T “core” exercises! How improving your core’s X-factor can improve performance regardless of the sport. The difference between core stability and core strength, and why the approach to improving one of these qualities is based on popular misconception. Many new, advanced core training applications and training strategies. And the best part is that the entire CORE TRAINING: Fact, Fallacies & Top Techniques Workshop was recorded so that high-level coaches who couldn’t attend live could gain access to this never-before-shared level of information. This professionally recorded 3.5 hour video series gives you a front-row seat at Nick Tumminello’s Core Training Workshop where he helps you see through the confusion (and avoid wasting time) by giving you the scientific facts behind many popular core training myths (that you probably believe). Nick also shows you the 3 types of core training methods, takes you step by step through the technique and application of his top core training exercises for each method, and shows you how to use the Full Spectrum Core Training System for putting these exercises together in a fully comprehensive manner to more effectively improve core strength and performance. Now, regarding the investment to gain access to the CORE TRAINING: Fact, Fallacies & Top Techniques Workshop, I want to make you aware that people pay Nick HUNDREDS OF DOLLARS PER HOUR to learn from him in person! Not to mention that they have to pay for travel, hotel, and food. I am not telling you anything you don’t know, as live workshops and mentorships can get expensive, but I thought it was important that you know the investment others have made to work with Nick and get an inside look at his core training education. With that in mind, we could easily justify charging $199 or even more for this caliber of information delivered in a format that you can study forever. But, ultimately, Nick and I decided that we wanted to get this much-needed resource in as many people’s hands as possible, so we decided to price the CORE TRAINING: Fact, Fallacies & Top Techniques product at just $149.95. And if you don’t think that CORE TRAINING: Fact, Fallacies & Top Techniques is the most powerful core training resource you’ve ever studied, you can simply email me and ask for a prompt and courteous, no-hassle, no-questions-asked, 100% refund. In fact, if you’re not completely happy for any reason at all, then I insist that you ask for a refund. However, after seeing so many trainers and coaches dramatically improve their core training knowledge through using this information, I am confident that you will be thrilled as well. P.S. – There is NO RISK at all for you when you invest in CORE TRAINING: Fact, Fallacies & Top Techniques. If you are not thrilled with this resource and how it helps you as a coach, let me know and I will refund your order. Your satisfaction is 100% guaranteed. P.P.S – If you are ready to become one of the 5% of fitness professionals who “get” core training, this is for you.